I think when you hear the word mental illness a lot of outdated images come to mind. Perhaps, Jack Nicholson in One Flew Over the Cuckoo’s Nest or maybe something a bit more scary like Alfred Hitchcock Psycho, especially when you start throwing around the word crazy. Regardless, it tends to conjure up scary thoughts and distasteful images. To me when I hear the word, I see my life. Imagine having a disease that no one could see, that there was no absolute true testing for and that no one really fully understood. You still had to continue going to work or school. Your teachers and classmates, your boss and co-workers were unaware that you were even sick. And you were expected to carry on as if it were just another day. It’s not a life sentence, but you don’t know how to convince yourself otherwise. The goals and visions you may have had for yourself disappear as you silently struggle with your internal battle. This is what it can feel like to live with a mental illness. This is where I could cop-out and tell you that this is all fiction and I’ve never had mental health issues myself. But that would be a disservice to myself and to everyone else who suffers, as well as to the book that follows. There’s so much suffering in the world, as you and I both already know — I, and maybe even you too, have experienced it. I can’t change that I’ve suffered or that I may suffer again. I can, however, lessen the extent of the struggle that others may face by sharing my story. That homeless woman, the one you take your time to walk around, the one you clutch your purse upon seeing – a ghost to you – could have been someone’s mother, maybe a sister or a friend to someone at some time – and she is most certainly someone’s daughter. I see this person and at first I react the same way as you, striding past and ignoring the story that led up to her being there. But on those days when I stop, truly stop, I see myself and it dawns on me – What If... What if I hadn’t gotten the proper help, met the right doctors and had extremely smart, tirelessly compassionate and patient people in my life? I’m not saying every homeless person is mentally ill, but I can tell you a good portion of them are. * Mental illness is that strong of a force, a force that can take you from a regular, functioning human being to an ostracized invisible entity living and squatting on the streets, rummaging through garbage and roaming from corner to corner, coffee shop to coffee shop, unable to function or maintain simple relationships. Luckily, I survived it, survived it and became strong enough to write this book and put it out there in the world. A lot of people see me only from the outside, an attractive, smart, friendly, ambitious and outgoing woman. It’s easy to think that someone has a lot going for them, has everything figured out. In a way, many of these expectations set by others for me have instead put unimaginable pressure on me, exasperating the symptoms of my illness. The dissonance between the life I live and my illness is something I find myself coping with, each and every day. It’s difficult to accept that I must carry this burden for the rest of my life, and that it will forever be a part of me no matter how healthy I get. For better or for worse, my illness has made me the woman I am today and is a part of who I will become. I was blessed enough to have met friends, family, teachers and doctors who saw the truth of the sadness below it all and were able to reach out to me and push me to seek help and get better. Otherwise, I really think – no I know – that I would have taken my own life long ago. I am now in my late twenties and I have suffered for nearly half my life with depression, suicidal thoughts, anxiety and OCD. Although my life experiences go beyond just these diagnoses and have been unimaginably complex, I cannot give you the whys and hows of my illness. I can, however, share this work of fiction, because it contains the heart of what I feel is important to share with the world. Not every single thing in A Hidden Life has happened to me and not everything I have gone through thus far in my life is played out in this book. 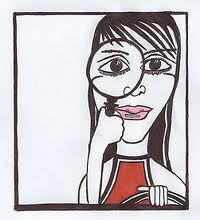 But I have drawn from, and been inspired by, my experience with these illnesses. The emotion and feelings behind it are very real, and they tell my story in the best way I know how. Loneliness is one of the worst human conditions and very often accompanies mental illness. Depression and similar illnesses can leave you incapacitated and feeling alone, often with nowhere to find sympathy and too afraid to seek empathy in others. Mix all the above with any number of other struggles people typically go through – adolescent angst, family strife, job losses or the general challenges of life and adulthood, and many simply can’t conceive of how to make it through. 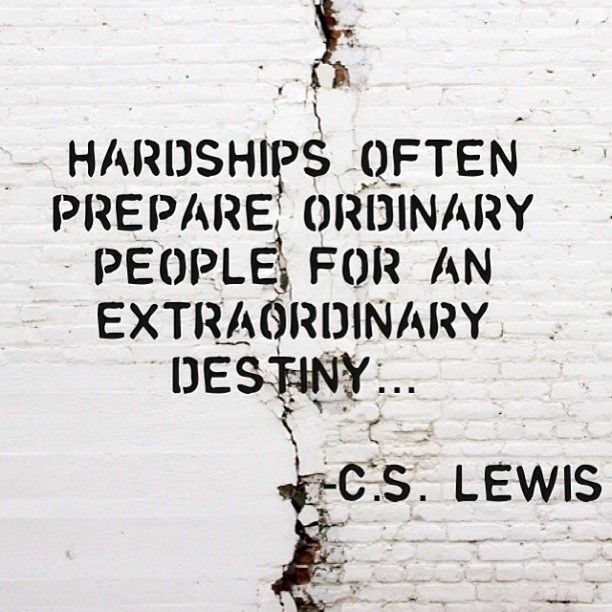 The setbacks and difficulties that others face with strength and fortitude become insurmountable obstacles for those suffering from mental illness. Without the ability to spring back and move on, these setbacks sometimes tragically end in suicide. It is a terrifying feeling when the world around you continues to spin and all the social pressures and expectations for you still exist, unable to wait until you can cope. Imagine how difficult it would be if you were unable to share how you truly feel, to share something that is constantly tearing you apart inside, with friends and family – an act that, for most of us, is part of our everyday lives. In a culture where mental illness is not an acceptable topic, where it brings shame and isolation, an unbearable struggle is made that much worse. We must strive to create a society where people can seek and receive the treatment they need without fear of humiliation or stigma. My intention with A Hidden Life is to help make that happen. It will not be a simple process, but we need to make strides in understanding and accepting the reality of mental illness. As someone who has experienced it themselves, I can attest stigma still exists. If we keep tiptoeing around the issue, continue relegating it to hushed conversations, how can we help those who may not be able to help themselves? I want this book to illustrate that mental illness isn’t for the poor or the weak, that many people in different circumstances can and do suffer. People of all races, genders and age are susceptible. Whether you are aware of it or not, you likely know someone who carries this burden, someone who may have sought help or someone who may need the encouragement to do so without shame. Everyone deserves access to the tools they need to live a happy and fulfilling life, and this cannot happen until we can accept it as a reality. Mental illness never discriminates, we do. A Hidden Life is but a glimpse into the world of mental illness. I’m not sure if any book could authentically describe the battle but I’d like to think this novel is a small step forward and a segue into the greater conversation. The reality is that mental illness is not yet on the mainstream psyche of society nor a part of its every day fabric. The issue is, how do you make something so foreign, something that people cannot fathom, seem regular? Currently, mental illness remains a part of the underskirts of society, involving secretive doctor’s appointments and family shame. It can be a catalyst for divorce and the end of friendships, sometimes the end of a life. And yet it remains hidden, not out front, far from dead and center. I want to change that. The aim of this book is to approach the subject with the lightheartedness of pop culture and the modern world, while still addressing what it is like to deal with mental illness on a daily basis, showing how it can transform the soul and affect how you view the world. Today mental illness is still seen as a weakness, which prompts people to hide it and try to compensate for it instead of admitting that they need to slow down and address their own needs. I’ve done this for years, tried to keep up while denying what I’ve been through. Why? It only makes it worse. You have to give yourself a break. Show yourself compassion even if the world won’t. Take a step back until you’ve received the treatment you need, return when you’ve faced whatever demons are haunting you. You won’t make it very far without addressing it first. More importantly, you won’t live the life you deserve to live. Though mental illness must be dealt with on a personal level, society’s treatment of the issue weighs heavily on this struggle. I cannot count the number of times people told me simply to ‘try and cheer up’ – as if I hadn’t thought of that already. What we really need to move past is having internal illnesses scoffed at or viewed as an excuse. Whether it can be seen on the outside or not, mental illness is real and should be accepted and treated like any other illness. Though the days of cruelty and experimentation in psychiatric hospitals are past, society still has a long way to go in terms of accepting what they cannot see and understand. I implore those with any type of mental illness or internal struggle to stop suffering alone, trapped in their soul and mind. Know that you do not have to face your battle alone. The challenges of mental illness go beyond the individual and affect those connected to them as well. Imagine if it were your mother, father, brother or sister who hears voices in their head or washes their hands until their skin cracks and bleeds or simply cannot get out of bed for days on end. There is no graveyard to visit, no loss of life to grieve, and yet as you watch a family member succumb to a frightening ailment, it feels overwhelmingly hopeless. These individuals who are indirectly affected, they too need compassion. Illnesses of the mind such as depression or OCD are intangible and unimaginable for those who only know it from the outside. But this does not mean that we should not practice and apply one of the most important virtues we can develop as human beings: empathy. On top of the regular stresses of life and jobs and relationships is today’s pressure of “the hustle”, an obsession with success, celebrity and perfection which makes it near impossible to deal with mental illness. To admit such a struggle becomes intimidating. Imperfection is almost forbidden. People are so wrapped up in themselves and their own worlds, they forget to reach out and touch another soul, a soul that could be drowning right next to them and they’d never have noticed. A Hidden Life is what I’d like to think of as a contemporary, outwardly relatable story touched by the realities of mental illness. It very much reflects how my life has been, and I’m sure many others will be able to relate. I’ve had the good times in my life tainted by suffering in very severe ways, and had to survive it – most of the time alone. I’ve had to relate to my friends going through normal stages and milestones in their lives when many times I’ve been left behind. I can play the part in the everyday typicality of life, but inside where it counts, I am very different. And I want people to understand that there are many who live this way. I wrote A Hidden Life for the girl sitting in Algebra class, thinking of slitting her wrists, or the young man who can’t get out of bed. For those who have a frustration in them that they can’t describe, for life and the happiness it should bring. For that person thinking of going on medication, or the person coming off of it and wondering where they will find support. I wrote this for anyone with an inexplicable heaviness in his or her heart. I want to firstly tell them all that they are special. That they are strong. That it takes an extraordinary person to withstand mental illness’ devastation, whether it’s their own suffering or the suffering of someone close to them. And lastly, that they are not alone. Finally, in my wildest dreams, I imagine my own courage gives someone something to hold on to when they need it, their own beacon of hope, until they can find the treatment that allows them to overcome their illness. A Hidden Life is a book inspired by real pain and real courage, with tragic yet uplifting events that I hope can give others a reason to continue, and to find their own beauty and strength. Thank you so much for your kind words. Honestly, a response like this makes my day, week, year and life and keeps me going when I’ve lost myself. Your words of encouragement are truly touching, thank you so much for taking the time to read the post in the first place and then secondly write a comment. I cannot wait to share my book with you and hope you enjoy it because that’s why I’m doing it! And I promise it’s equally full of laughter! I just found your blog because I saw that you started following mine and yours looked interesting so I came on over. I want you to know that what you are doing in writing this book is admirable. If more people would come out an publicize how they feel about their depression, the more it would be accepted over time. But, as you say, the stigma is still so very bad that many people don’t seek help or even admit they have a problem. I want to get your book. As you know from reading my blog, my brilliant, 23 year old daughter who just started her 3rd year of medical school ended her life 4-11-13. No one knew of her depression that she said in her suicide note she had experienced all her life. She said she could no longer bear the weight of it. Everything was right in her life, but no one saw what was going on inside because she chose to hide it from everyone for reasons I can only guess at. I so wish she had read many stories like what you have written about your own experiences. Perhaps she would have tried to get help. All I know is that an amazing, wonderful future doctor and the light of my life is now gone from this horrible disease of depression and I will fight the stigma and be a suicide prevention advocate the rest of my life, for her memory and for others. I applaud what you are doing and thank you. My sincerest and deepest condolences on the passing of your beautiful daughter. Thank you so much for taking the time to visit my site and read what you did. Words cannot express how honored I am that you took the time to read this post – your comment has very much touched me and is the reason I am sharing this novel. My depression, anxiety and OCD were particularly difficult during my undergraduate studies as well and at times I wasn’t sure I would make it out. I cannot imagine how your daughter must have felt juggling medical school. I’ve often come across stories of young people committing suicide during that fragile time of post-secondary studies and I think it’s an issue that needs to be addressed. 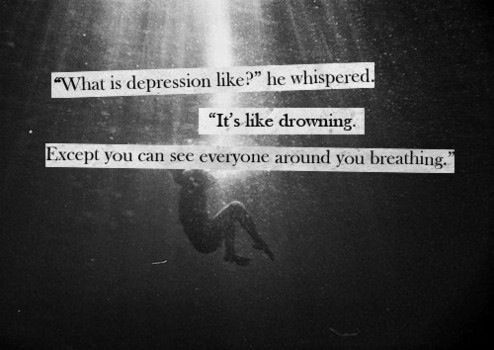 Depression is such an odd monster. And I think in today’s world – with the Internet and an ever-growing celebrity obsession – it is even more complicated. There are so many struggles we have to endure and I’m not quite sure our current culture is helping or hurting. But it’s also given us this unique ability to share our stories and I hope this novel I’ve written although fiction, will add to the conversation. It is very much based on my own experiences and the heartache I’ve endured. And yes if more people came forward and all mental illnesses were more acceptable I truly think it would save lives. Please keep in touch and please continue to write about your daughter. It’s imperative that the world hears stories of not just those who suffer but those who are affected by their suffering. I think it gives those that are ill strength at the end of the day because they are not just getting well for themselves but for their loved ones. Thank you so much. I admire you very much for what you are doing. Your reply comes on a day that I am fighting with myself on whether or not I should write my own book. If you are interested in my struggles about this, please look at my last 2 blog posts today. I wish you well and I will be looking forward to your book.